I've only heard very general things about the UK's exit from the European Union (the disatrous fall of the pound, a general overview of exit procedures, David Cameron, poll results, etc), but I'd like to see the British and European members of this site discuss the actual reprecussions of the referendum. Will there be Scottish Referendum 2: Electric Boogaloo? Will Northern Ireland attempt something similar? Will any other countries want to leave the EU? I read that the exit will take begin to take place in October with Cameron's resignation. What implications does the exit have for everyday life in the UK and elsewhere? I wrote a huge rant that wasn't so much about what's going to happen now as it was just about how awful the campaigning was and how social media brings out the worst in everyone when it comes to politics. But then I pressed backspace and lost the entire post. I was really hopeful when people on Newsnight were talking about how maybe people should cool it. They were saying that how the divisiveness caused by the campaigning might have had a part in Jo Cox's murder. But it's been a week since then and people are still as awful to each other as ever just because they disagree over something. Anyway I think unless the government calls off leaving the EU, Scottish independence is inevitable. I was rooting for Scotland last time, but this time I just hope I can move there first. Not sure about Northern Ireland though. I'm quite disappointed that Wales voted to leave. I was on holiday the week before the referendum in Pembrokeshire, and I remember seeing signs at the beaches and such saying "funded by the EU", and I wasn't even actively looking for them. And they voted leave. Wales is incredibly reliant on EU funding because it's seriously screwed over by Westminster. That said, I'm also disappointed that Leanne Wood is trying to jump on the independence train. It would be nice, but it's a tense political situation already, don't make it worse! Plaid Cymru can be so embarrassing sometimes. I've seen people posting theories about how Boris didn't expect to win or how Cameron is playing some kind of chess with him. I don't really want to buy into conspiracy theories but it does feel like we're being toyed about with. I'm also dreading to see who the next Conservative leader will be. Hopefully there'll be a general election called instead so we aren't left with Worse Than Cameron. Labour are imploding right now as well. Corbyn's likely going soon, no idea who will take over. A Blairite? The Lib Dems have said they'll put staying in/rejoining the EU in their manifesto. I'm a Lib Dem voter and I voted Remain but I'm a bit torn on this. I mean it's smart of them since 48% is more votes they could ever hope for, but on the other hand being pro-democracy is one of the things drew me to their party in the first place. It seems a bit backwards of them. Of course, there's also the argument that if they get elected because of that then that's just democracy overruling its previous decision. As for everyday life. I think things will get more expensive. Unemployment will rise, maybe not drastically but it will rise. Wales and Cornwall will fall into the ocean. The fact is that we don't know exactly what's going to happen and that's what's makes it such a risk. Last edited by Murkrow; 06-27-2016 at 10:49 PM. Wales got the most help from the EU, and still we voted to leave! As for Welsh independence, that's not really a good idea. We're too small to function independently, especially outside the EU. And if old Boris becomes PM then the whole of Britain is truly screwed! yyyyeahhh, this is what i hear from a lot of welsh people. :( but a lot of them have changed their minds about it retroactively, of course, just like everyone else. really hoping for another referendum now because everyone's eyes have been opened at this point and all. this is probably true for like... all of britain. scotland would be screwed as well and i don't know enough about ireland to say for sure but i can't imagine them doing so hot either. anyway yeah this whole deal's got a lot of people fired up!! i think it's a great time to go back to england. maybe my euro will actually be worth something this time. 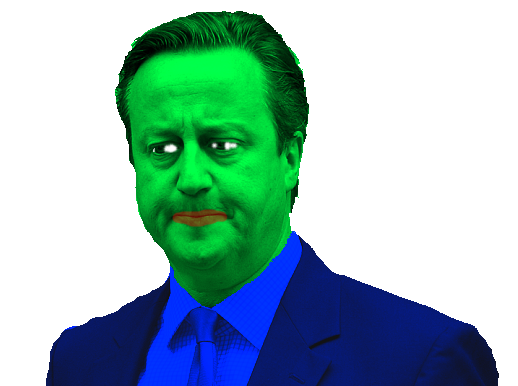 i'm sorry to see cameron go, though. (mfw) honestly i hope this all turns out. i'm personally optimistic about it and i think everyone freaking out should just shut up and see what happens as it's too soon to tell for sure, but the eu has been sort of pushy and the leave campaign has been dodgy and it all is a bit of a mess at the moment. but i'm confident the value of the pound will go back up! everyone knew it was going to drop, and the decline has stabilised within the projected range, so like... this was forecasted. i think people are aware that it's the result of initial freakout and will start investing in british business in hopes that the economy will fix itself and then Whoa everything is cool again. maybe. we'll see. honestly i just want to believe something good will come of this all (although i'm still crossing my fingers for another referendum). e: oh murkrow posted here too! i agreed with this initially, but like... scotland doesn't even have its own feet to stand on. it's a distinctly british country and i don't think it'll last by itself. :( independence sounds like a Bad Idea to me, even with potential eu support. yeah again!! i don't understand all the welsh backlash against the eu. i mean i can see maybe england i guess because they're fairly self-sufficient but i mean... why wales??? they're being helped out massively by the eu, along with scotland, and like... i don't get it, really. the eu never had any profoundly negative impacts on wales, and it quite clearly had positive ones. what's the root of all the anger? As for everyday life. I think things will get more expensive. Unemployment will rise, maybe not drastically but it will rise. Wales and Cornwall will fall into the ocean. From what I understand, voting wise, the older generation basically fucked over the younger. Aside from that being the case in every election ever, there's also people saying the turnout of younger voters was quite low so it was the younger generation screwing themselves over. There are plenty of other divides, like big cities vs rural areas, Scotland vs England, etc. So basically it's people playing the blame game. I overheard one person snobbishly declaring it was uneducated people who voted Leave. There are lots of events you can think of which if they didn't happen the world would be a completely different place, and this is one of them. In 200 years there will be people who are(n't) alive who would(n't) have been if the referendum came out the other way. It's kind of scary. Aside from that being the case in every election ever, there's also people saying the turnout of younger voters was quite low so it was the younger generation screwing themselves over. This isn't true. Youth turnout was far higher than initially reported - a majority of ALL people under 25 voted remain, compared to the 37% of all voters who voted leave. We want to be special in a universe that is uncaring and cold, and in which the nature of our existence is a transient flicker, so we invent these strange stories of grand beginnings, like every orphan dreaming that they are the children of kings who will one day ride up on a white horse and take them away to a beautiful palace and a rich and healthy family that will love them forever. We are not princes of the earth, we are the descendants of worms, and any nobility must be earned. Yeah, I did come across that as well. I suppose people will hear what they want to hear though. I don't usually try to get involved in politics. I mean I have an opinion on a lot of things but I rarely actually go deeper than that. But this is something I feel strong enough about that I have been talking about it, a lot more than I usually would. And yet, I was very almost one of those people who didn't vote because I "knew" that Remain would win anyway. I'm an idiot. England voted strongly for Brexit, by 53.4% to 46.6%, as did Wales, with Leave getting 52.5% of the vote and Remain 47.5%. Scotland and Northern Ireland both backed staying in the EU. Scotland backed Remain by 62% to 38%, while 55.8% in Northern Ireland voted Remain and 44.2% Leave. I wouldn't call 53% "strongly", and it's even worse since Scotland's 62% didn't get an adverb. One site even called 52% an "overwhelming" victory. I personally wouldn't call anything below 70% overwhelming.